Though already ten days into November, I have decided to spite the University and never-ending slew of homework and celebrate the holidays! I'm just going to pretend that I didn't forget a whole 10 days worth of gratitude and plunge headfirst (because let's face it, that's how I approach most ideas that pop into my mind anyway) into the first day of Project: Gratitude. Of all of the incredible blessings in my life, which am I most grateful for today? There are many, many answers that pop into my mind, but of them all, the blessing I am most grateful for is the Atonement of Jesus Christ. A few weeks ago I was having a hard time. I was frustrated with myself (as is a common human experience, I believe) for not doing as well as I thought I should have been in several different areas of my life. After dwelling on this for awhile, the thought came into my mind that Heavenly Father doesn't see me in terms of my failures and struggles. When I look at myself, sometimes this is all I can see, but when Heavenly Father and Jesus Christ look at me, they see who I will become. I am not measured by them in terms of what I can (or can't) do, but by how hard I am trying to become that person They already see in me. More than anything else, that is what I am so overwhelmingly grateful for each day of my life. Because of Him, I can change. AGREED! Well said and exactly what I needed to read. Thanks! Really good post Dani. 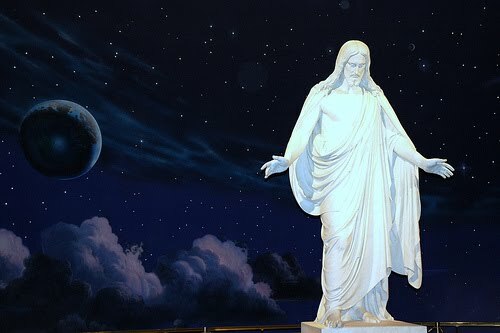 We all go through times when we feel like we aren't living up to our potential, and its nice to know we have a Savior who will always love us and help us to become better.